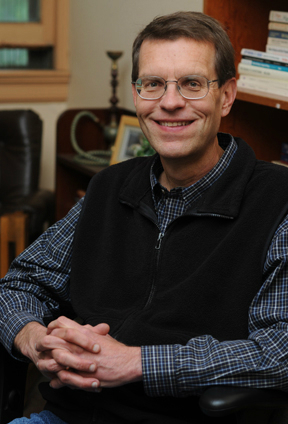 Steven Kunert has served as Undergraduate Academic Advisor since 2005, as a Senior Instructor in writing from 1998 to 2016, and as editor of the English Letter from 1999 to 2015. He has published his works for 40 years, including “William Stafford Once Told Me” in the creative nonfiction anthology Six Sentences: Volume 3. Other creative nonfiction, fiction and poetry have appeared in Word Riot, Rio Grande Review, Fogged Clarity, decomP, Apeiron Review, Word River, Poetry Super Highway and many other publications. His articles and opinion pieces have appeared in The Oregonian, El Paso Times, and Corvallis Gazette-Times. He also served as an editor of his father’s autobiography, The Other Side of the Coin by Hans J. Kunert (Heritage Books, 2002), deemed “the most memorable book of the year” by The Bradenton (FL) Herald; his article, “Autobiographical Writing: Therapeutic for Aged Individuals, Meaningful for Gerontologists,” appeared in the Journal of Aging and Identity in 1997.